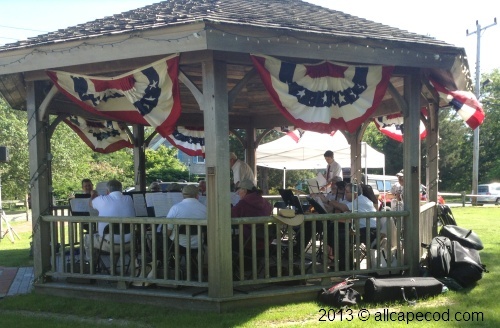 alongCapeCod: Cape Cod & Islands - Happy 4th of July 2014! The sky will be ablaze with color starting June 27 as fireworks explode over Dennis-Yarmouth High School, to end the week long Yarmouth Summer Celebration Kick-Off. Check the skies over Willow Bend Country Club on Sunday June 29 for Cape and Islands United Way "Best Night of the Year" fireworks display. 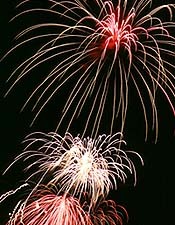 Fireworks take place in the town of Mashpee on July 1. The Mashpee event is part of an evening long community picnic with games, music and demonstrations starting at 5:00 PM at Mashpee High School. The fireworks start around 9:30pm but why wait until then - join the fun all evening (rain date is July 2). Look up in the sky on July 3, but don't trespass on the grounds - Tim's Cove, Osterville and The Ridge Club, Sandwich are launching private displays! On July 4th, starting at dusk, fireworks displays will be over the water in Provincetown, Barnstable, Falmouth, Onset, Edgartown, Nantucket and Plymouth. Grab a spot at the beach, go out on a boat, or find a high roof top deck and view it all! Wait a day and see some more firweorks! 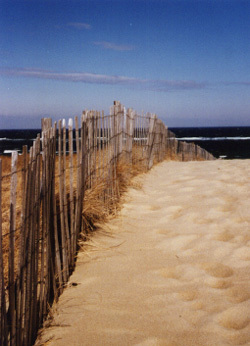 - at Rock Harbor, Orleans and Onset Beach, Wareham on July 5. 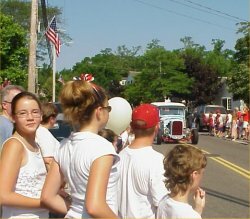 Cape Cod parades are true hometown America events with scout troops, decorated kid's bikes, home-made floats pulled by parents, pets, firetrucks, antique cars, local civic groups, and marching bands - and best of all candy throwing! Don't miss the 4th of July parades in Bourne, Orleans, Falmouth, Hyannis, Chatham, Sandwich, Provincetown, Edgartown - just to mention a few. For a real nautical flair, "head" to a boat parade in Hyannis Harbor or Shawme Pond in Sandwich. For a fairly complete listing - including parades being held the rest of the year - click here.